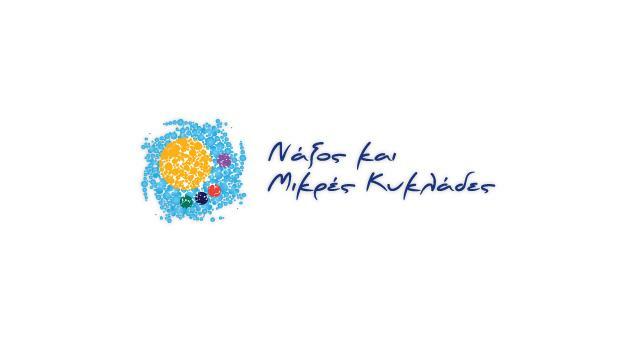 The islands of the Small Cyclades, some more developed than others, are similar in that they offer “the luxury” of being close to exotic sandy beaches with golden sands and turquoise waters. 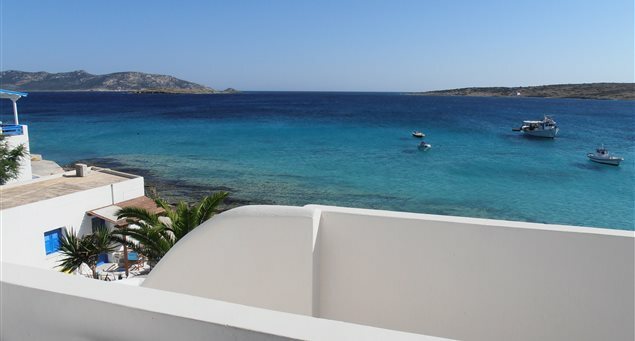 Koufonissia, despite it being the smallest of the Small Cyclades (and all of the Cycladic islands, for that matter), for its size, features the most “beds” or places to stay. 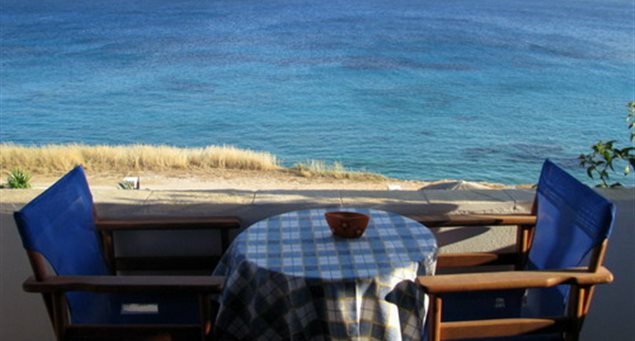 The accommodations are located on Ano (Upper) Koufonissi as Kato (Lower) Koufonissi is not inhabited except for a taverna open in the summer for guests visiting the beaches when taking an excursion to the island. 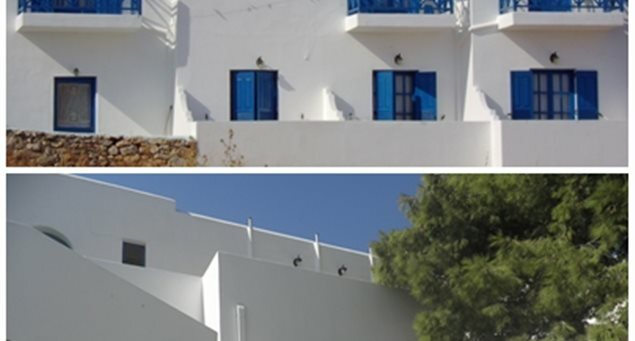 Traditional in style, the Cycladic cubed complexes, house studios, apartments, hotels and villas. The categories range from 1 to 5-star and villas, with the majority in the 2-3-star range. 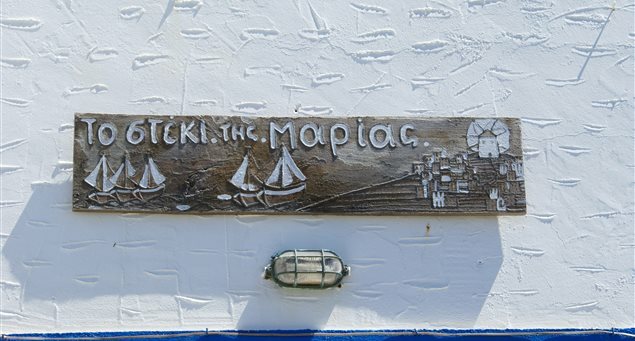 Most are equipped with kitchenettes, private balconies, breakfast, views and access to the beach. The accommodations dot the island’s 2.5 km coastline road, with a few higher up on the island’s parallel peripheral road. 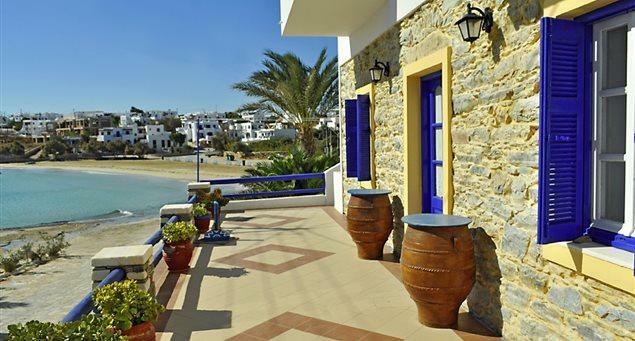 The island, generally flat with no hills or mountains, offers views of Keros and nearby Naxos from almost anywhere you stay. 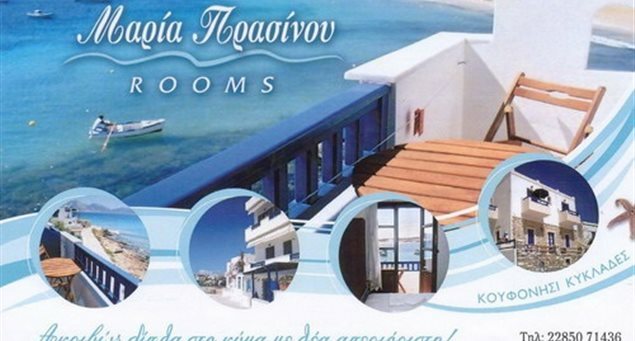 The accommodations closest to downtown are in Chora, where most of the after-beach and nightlife action takes place. 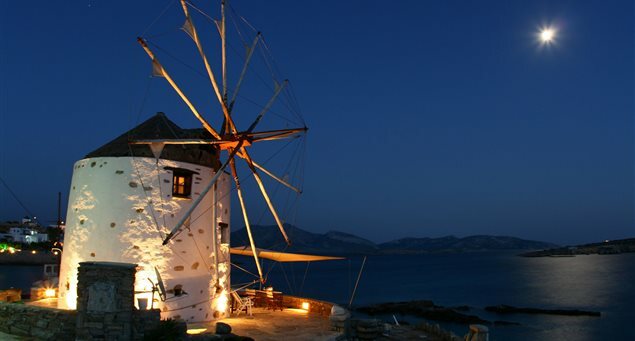 Except for Pori, which is a bit farther down the coast, access to Chora is reachable on foot and or bicycle from the beaches and accommodations located along the coast.